Team members who need to work in a place that has no access to the VP Server can export the license to their machine first, and then work remotely without connecting to server. Once they can access the server again, return the license back to the server. This mechanism is good but unfortunately, team members may not remember the need to return the license on time, which cause the server run out of license unexpectedly. In order to solve this problem, administrator can set the valid export period to restrict the duration of offline license usage. License exported after the period set will only work within the chosen period. Once the valid period has come to an end, the license will become available again on the VP Server, offline usage of the original member will be stopped. 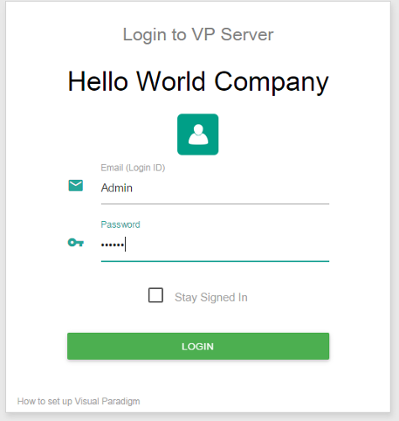 Visit the VP Server URL and login as administrator. Note that the login ID of the default server administrator is Admin. Select Floating License from the menu on the left hand side. Click on the drop-down menu next to Export valid period and select the period. The change will be effective immediately.